This diagram shows the electric field lines for a dipole. The dashed lines show lines of equal potential for this system. Notice that the equipotential lines are always perpendicular to the E field lines. 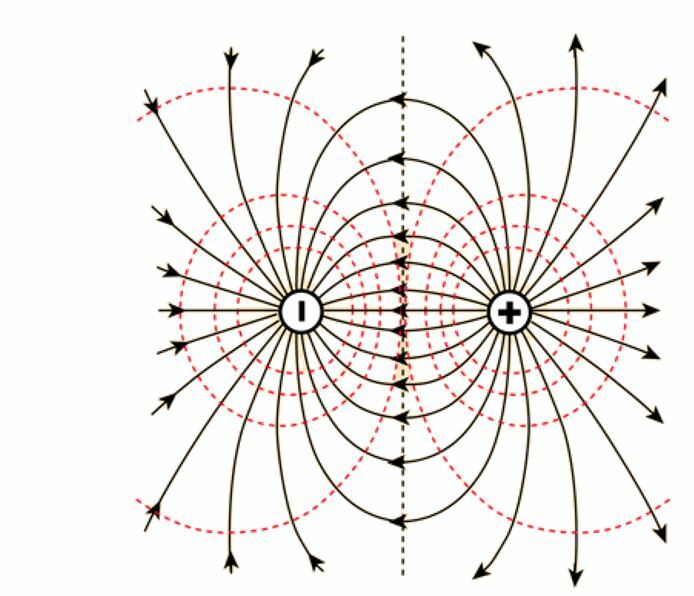 Recall the relationship between the electric field and the electric potential. The change in potential is the negative integral of the electric field over a distance. The electric field is the negative gradient of the potential. 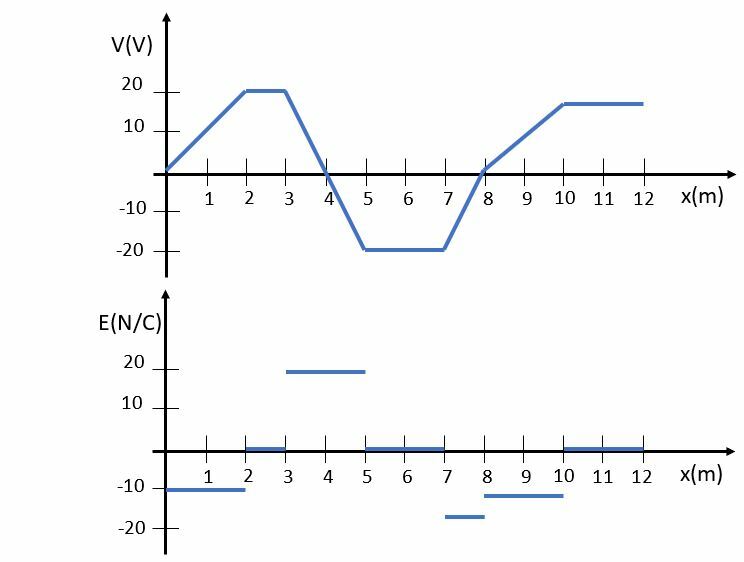 In a one-dimensional case, the negative slope of the potential gives us the E field, as we can see in this graphical representation. Similarly, if we know the electric field as a function of x, we can find the potential by finding the negative area under the curve of the E field. We can also analyze an electric field by plotting equipotential curves on a grid. Here, the grid squares are 1 cm x 1 cm. The blue dashed lines are equipotential curves. Estimate the E field strength and direction at points A, B and C.